Touch typing is a method of typing without looking at your keyboard. Touch typist can find keys on the keyboard with muscle memory. The theory of muscle memory is described in another article. This method of typing increases your typing speed significantly. When learning to type faster, it is more important to type correctly than to type fast, it is even better to look at your keyboard and press key with the right finger than to press it faster with the wrong one. It is all about muscle memory. Former keyboard layouts for the first typewriters were alphabetical. It was ineffective due to the specificity of typewriter construction. It was ineffective because it caused more exploitation of some important parts of the typewriters. It has been changed by the constructors. Equal load on most fingers has also increased the typing speed. Different keyboard layouts are valid for different languages, e.g. 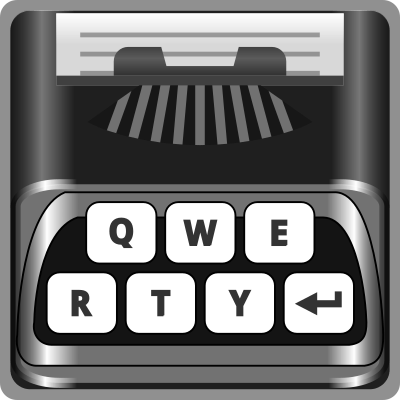 QWERTY keyboards in the English-speaking countries and in countries where French is spoken, the AZERTY system is used. Another most important way of entering text is a method called peck typing - it uses 2 fingers. This method is slower than touch typing because instead of relying on remembering the position of fingers, you need to find a key every time you want to click it. Using less fingers also causes slower typing.